Is he ready to enter the battle? You know, slip on his powerful suit, absorb the kinetic energy directed at him and store it up, and then unleash it back on his enemies? That's awesome! Your kid is obviously the Black Panther, because he's the only superhero we've heard of who has that amazing ability. Well, we think it's time to upgrade your kid's mask. With this Child Light Up Black Panther Mask! 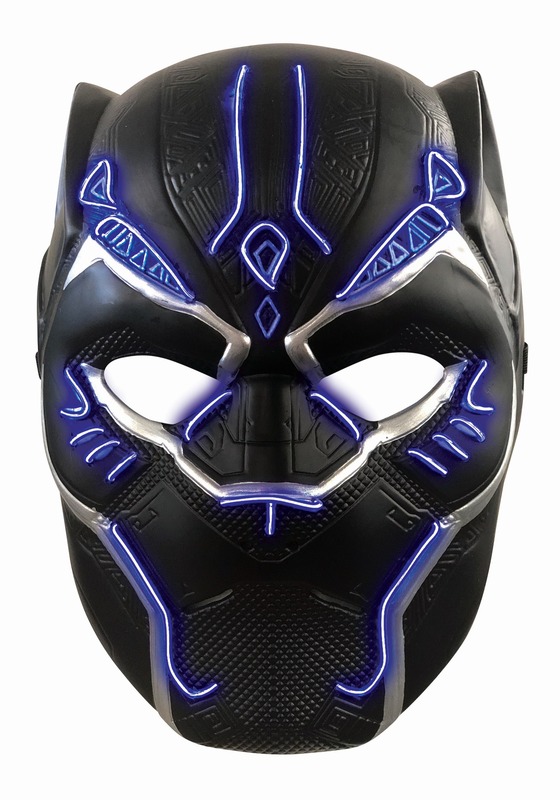 The perfect complement to our Kid's Black Panther Costume, this mask will have him ready for the action, with light up ability! This Mask is Marvel Comics officially licensed from the 2018 Black Panther movie. Made of molded plastic, it has an awesome amount of detail recreating the intricate patterns shown on the real suit. This mask covers the front of the face, has eye openings, and of course, a light-up ability for an even more authentic touch. It comes in one size to fit most kids. We can't say exactly what kind of adventure he'll encounter this Halloween, but we are sure of one thing. He's gonna look great as the Black Panther, and we're sure that he's going to score lots of trick-or-treat candy, too! 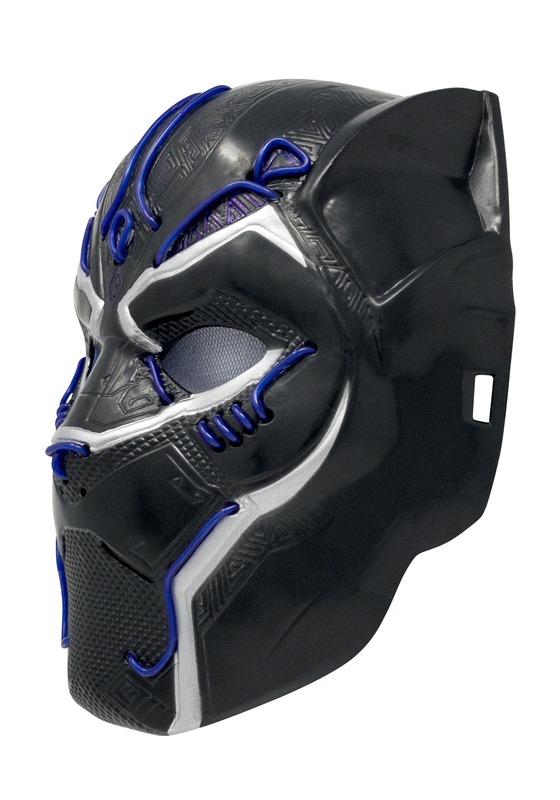 Grab this Black Panther mask to put the finishing touch on his awesome costume!